Since March 2016: Senior researcher at VideoStitch working on computer vision and machine learning models for 360 video stitching and virtual reality. From now on this page is no longer maintained. May 2014- February 2016: Researcher in the Perception team of working on computer vision and machine learning temporal models for humans and humanoid robots interactions from audio-visual data. March 2013-May 2014: R&D Engineer at RN3D Innovation Lab in Marseille working on computer vision and machine learning tools for human machine interfaction modelling from multimodal stereo cameras. 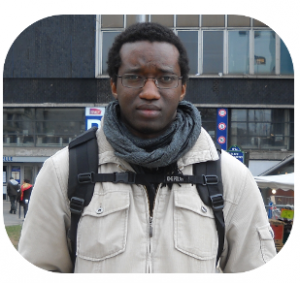 May 2009-Feb. 2013: Postdoctoral researcher in Signal and Communication Department of Telecom Bretagne in Brest working on geophysical events modelling from multi-modal satellite observations. April 2007-April 2009:Postdoctoral researcher at IDIAP Research Institute working on multi-party visual focus of attention and conversational events modelling from audio-video data. Oct. 2002-March 2007:Research assistant at IDIAP Research Institute working toward his PhD thesis with Jean-Marc Odobez on probabilistic methods for joint head tracking and pose estimation applied to people’s visual focus of attention estimation. April-September 2002:Research Intern in the team IMASTE of Biometrics and Artificial Intelligence (BIA) Lab of INRA (Institut National de Recherches en Agronomie) at Jouy en Josas (Paris) working on confoncal microscopy images restoration.